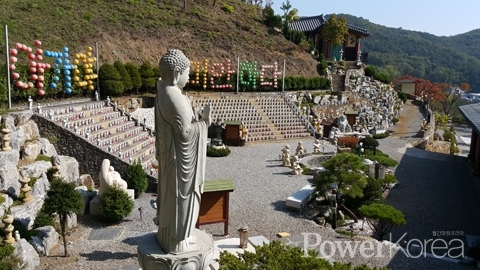 Chief Monk Jiyul of Gudam Temple Jamoam in Namyangju City is famous for Cheondoje (ritual to send the dead to heaven) for aborted babies. In Buddhism, abortion is a sin as a life is forced to be taken away. So the Cheondoje in Gudam Temple Jamoam is intended to send the baby to heaven to reborn in the next life and to forgive the parents. The ritual called ‘Taeah Youngga’ is the first case in Korea thus Gudam Temple is the first Korean temple to mainly practice the ritual. “Nobody can avoid karma and abortion can affect negatively the parents. But things happen and it is important to comfort the soul when it happens” says Jiyul. The ritual is taken place in March, June and September.